5 Solutions toStop Mac Spinning wheel? I’m a video editor that loves Mac devices. I have an iPhone, iPad, and a MacBook. The last is my favorite as it allows me to do my passion, edit videos and add special effects. Although, I have noticed that my Mac always show the Spinning Wheel for long periods of time. I hate waiting for it. How do I stop the Mac Spinning Wheel? All Mac users wouldn’t want to see the rainbow-colored circle on their device. If it goes away within a few seconds, then you’re lucky. But if it appears for minutes and doesn’t go away, you might be locked out of your Mac or the application you are currently running. Dealing with the Mac spinning wheel is a mystery. The reason for its appearance is unclear too. In this guide, we will put the spinning wheel in a microscope. We will be telling why it appears and when. We’ll also show you how to deal with the Mac spinning wheel. Read Along. Part 1. What Is The Mac Spinning Wheel? Part 2. How to Stop The Mac Spinning Wheel? Part 3. What To Do If The Application Continuously Freezes While It Is Opened? Part 4. What If The Mac Itself Become Non-Responsive? The Spinning Wheel is actually a system indicator. It is officially called the Spinning Wait Cursor. Others call it the Spinning Beach Ball Of Death (SBBOD). When the ball appears, it means that your Mac doesn’t have the ability to handle all tasks it has to do at a particular moment. Every Mac application has its own window server. When one application receives tasks or events that are much more compared to what it can process, the window server will display the spinning wheel. Usually, it takes approximately 4 seconds before the applications decide it is non-responsive. Why appear a Mac spinning wheel? There are a variety of reasons why a Mac spinning wheel will appear. It can actually be an issue with a particular. Insufficient RAM (Random Access Memory) can be one reason as well. Faulty hardware is another. In this article, we will go through possible issues (and causes) and give you ideas on how it can be repaired. In extreme cases, the only solution is to buy a new Mac. However, most cases can be fixed using the proper system commands and software. If you simply wish to unlock a particular frozen application, you can use Force Quit. Step 1 - Look at the top-left corner of the screen and click the Apple icon. Step 2 - Select Force Quit. Or you can also press Command + Alt + Esc. Step 3 - Select the application you want to force quit. In this case, it’s the non-responsive app. Step 4 - Press Force Quit. This is one way to simply quit the entire process. However, the underlying issue that may be the reason for a non-responsive app is not addressed. Sometimes, this could just be accidental, a glitch in a specific program. However, if it appears all the time and if it spreads to other applications in the Mac, you should dig deeper into the problem. When the application continues to freeze everytime you open it, you should reset or reinstall it. Macs lack proper uninstaller tools. Putting your application on the Trash bin usually leaves pieces of application leftovers. These leftovers can actually cause the spinning wheel to show up. So how do you uninstall a Mac app or reset it to its default settings? One possible method would require you to modify the app’s settings or preferences and check out if an option to reset the app is available. Uninstalling it would need you to use a tool like iMyMac-Cleaner’s Mac Uninstaller. So why do you need the tool? It’s because of the app leftovers that can be the reason why the spinning wheel keeps appearing. Before you use the tool, you must ensure that you have a copy of licenses or serial numbers of paid applications. Step 1: Download and Launch iMyMac-Cleaner. Possible Problem 1: Processor Is Overworked. One possible reason why the Mac spinning wheel keeps showing up is an old Macintosh. If you want to know if this is actually the case, you can check the CPU Usage. You can do this by searching for the Applications/ Utilities folder and opening the Activity Monitor. The table located at the bottom will show (in percentage) the actual System load. If the percentage is way above 50% and still stay there for long periods of time without an actual reason like playing games and heavy rendering programs, this means your processor might be the problem. Possible Solution 1: The only solution to this is buying a new Mac. Possible Problem 2: Low Amount Of Disk Space. If you have loads of large-sized games, videos, and other files, then your Mac is loaded and has low disk space. Step 3 - Click Scan and wait until the process is finished. Step 4 - The program will show all junk files in various categories. Select a category. Step 5 - Select the files you want to clean in that particular category and click Clean. Step 6 - Confirm the process and wait until the cleanup is finished. Step 7 - Repeat the process (Steps 1-6). The only difference is you have to click “Clutter” OR “Large & Old Files” in Step 2. Possible Issue 3: Insufficient RAM. To check if this is the case, open Activity Monitor located in the Applications/ Utilities folder. Go to the tab named Memory. A graph will show up displaying the memory pressure. If the graph is red, it means your memory is pressured by all the applications running and it is the actual problem. Possible Solution 3: You can actually upgrade your RAM by purchasing more of it and having it installed. The spinning wheel can actually be a pain. It might be caused by a variety of reasons such as insufficient RAM or low disk space. There are various solutions to this problem. 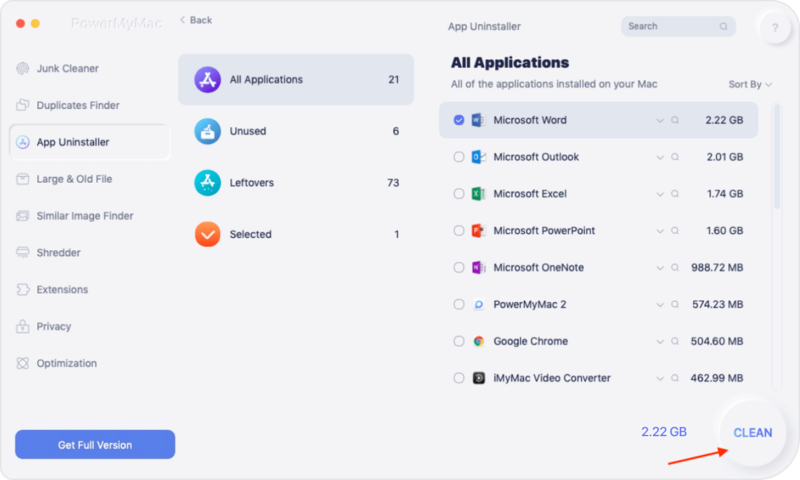 First, you can actually use the iMyMac-Cleaner’s Mac Uninstaller to remove applications that are causing the problem. Or, you can use the said brand’s Mac Cleaner to free your Mac of disk space. Whatever the problem is, this guide can help you with a solution. / Mac Uninstaller / How to Stop Mac Spinning wheel?